The loss of Margaret Done and then her husband Derek last year was a great loss to their family and many friends and colleagues here in Marlow. Thanks to the Done family we now have a lasting memorial to Margaret and Derek. 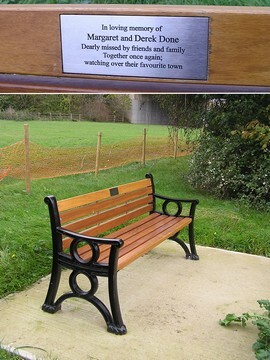 If you walk down to the Thames Path at Gossmore you have the opportunity of sitting on the memorial bench installed in their memory. Linger for a while, remember them and enjoy the privilege of living in Marlow and having the wonderful views of which the one across the river is one that they loved.